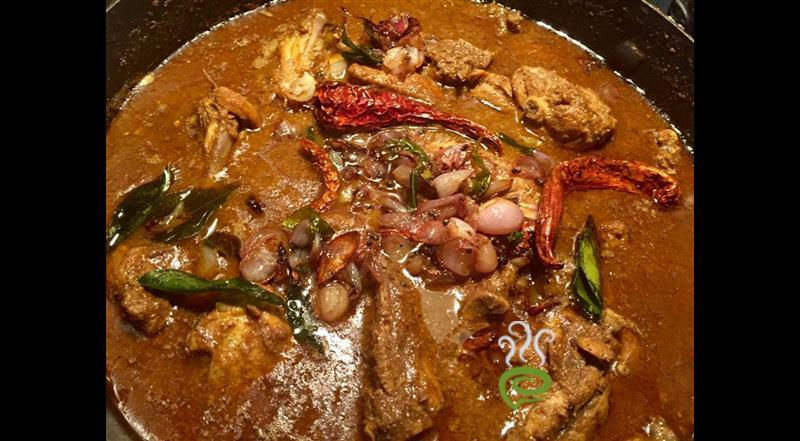 Varutharacha Kozhi Curry is a favorite traditional styled chicken dish cooked in a ‘manchatti’ for enhanced flavors and aroma. The perfect accurate blend of dry roasted spices and grated coconut grants a superior quality to Varutharacha Kozhi Curry. 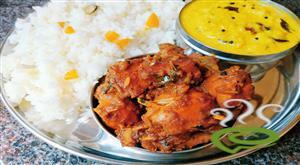 The dish is unique and special with bite sized marinated chicken pieces cooked in spicy aromatic coconut masala mixture. Varutharacha Kozhi Curry blends well with appam, porotta, chappati, almost anything. 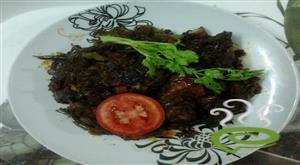 You can explore a well detailed Varutharacha Kozhi Curry here that can be easily prepared at home. 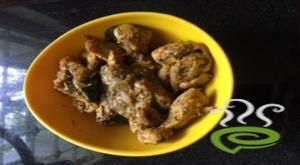 For preparing Varutharacha Kozhi Curry, first wash the chicken pieces and marinate with chilly powder, coriander, turmeric powder, lime juice and required salt for half an hour. Dry roast the masala ingredients: shallots, garlic cloves, grated coconut, chilly powder, coriander, turmeric and grind firmly by adding little water. 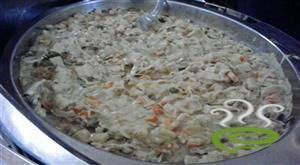 Take a manchatti and saute ginger garlic paste. Then, add onions and green chillies and curry leaves. 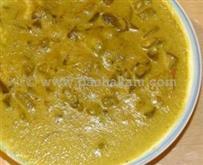 When the color changes to slight brown, add the ground coconut paste into the chatti. When it starts to boil, add the marinated chicken pieces and cover with a lid. 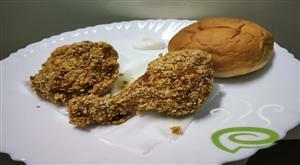 When the chicken is cooked well, spread some pepper powder on top. 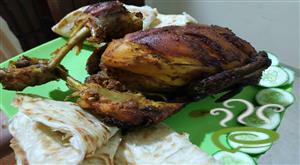 Serve Varutharacha Kozhi Curry hot with appam, porotta, chappati etc.